A primary focus of Borsheims’ Kalahari Dream Diamond sales goal was to support the creation of a consistent water source for villagers in Botswana, however, the diamond line has been making strides to improve the lives of women and children in the area since day one. In partnership with Leo Schachter, proceeds from Kalahari sales go to support child care for orphans whose mothers have died from the HIV/AIDS virus before they reach school age, along with healthcare and lifesaving HIV/AIDS drugs. 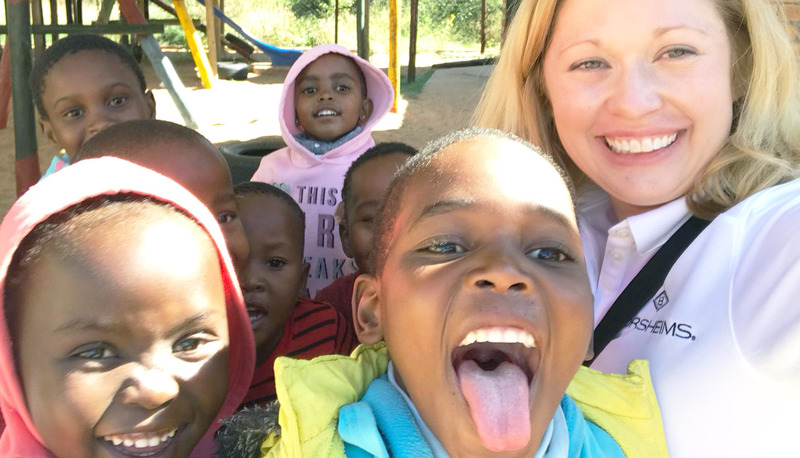 During Heather’s trip to Botswana for the Kalahari water dedication ceremony, she was able to visit the Bana Ba Keletso Child Care Centre in Molepolole, Botswana. A portion of each diamond sale helps support this facility. Read more about her experience meeting all the children there below and check back next week for the final part of Heather’s Botswana travel log. 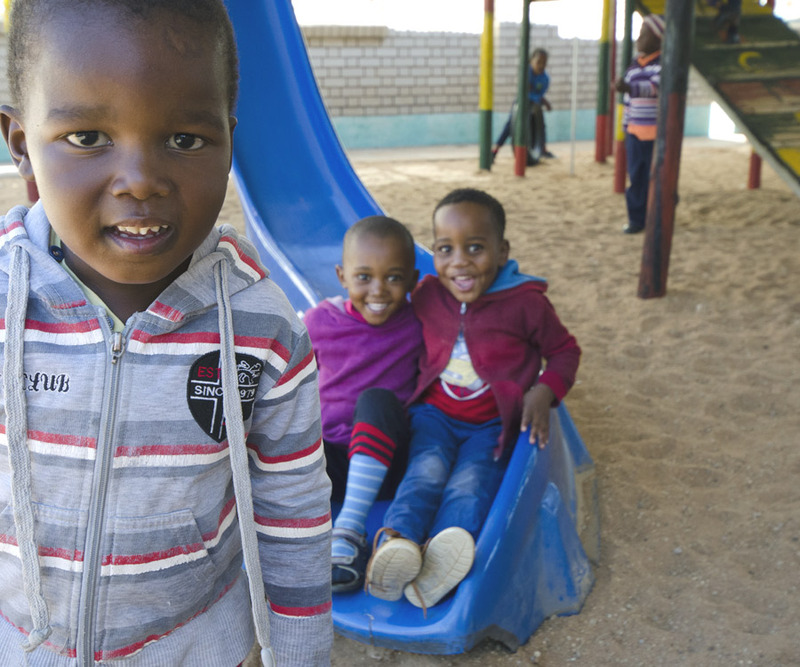 Bana Ba Keletso is essentially a child care center for orphans. Many of the children at the Centre are orphaned because their mothers have died due to HIV/AIDS. 22% of the population in Botswana has HIV/AIDS and the center was created in response to the increase in children orphaned due to this crisis. Family members or neighbors have taken in the children but do not have the means to provide for them. Bana Ba Keletso provides a sanctuary to 2 ½ – 5 year olds so they may be cared for and fed during the day. Once the children reach the age of five, they will attend school during the day. The Centre provides preschool, daily meals and psychosocial support and most of the care providers are volunteers. When I arrived at Bana Ba Keletso, I was greeted by some amazing young children who were full of smiles and energy. For several hours we played on the swing set and slide in the Centre’s playground. When playtime was finished, I presented each child with a coloring book and a pack of colored pencils. I immediately became aware that at least 1/3 of the children did not know what to do. So, I spent the rest of my time teaching them how to color. It might be a simple act but teaching the children something that most children in the U.S. do every day was a very meaningful experience. When it was time to leave the school, many of the children grabbed on to my legs and kept saying, “Don’t go. Don’t go.” While I had to leave, this is a day I will never forget and I will continue to keep these children on my mind and in my heart. 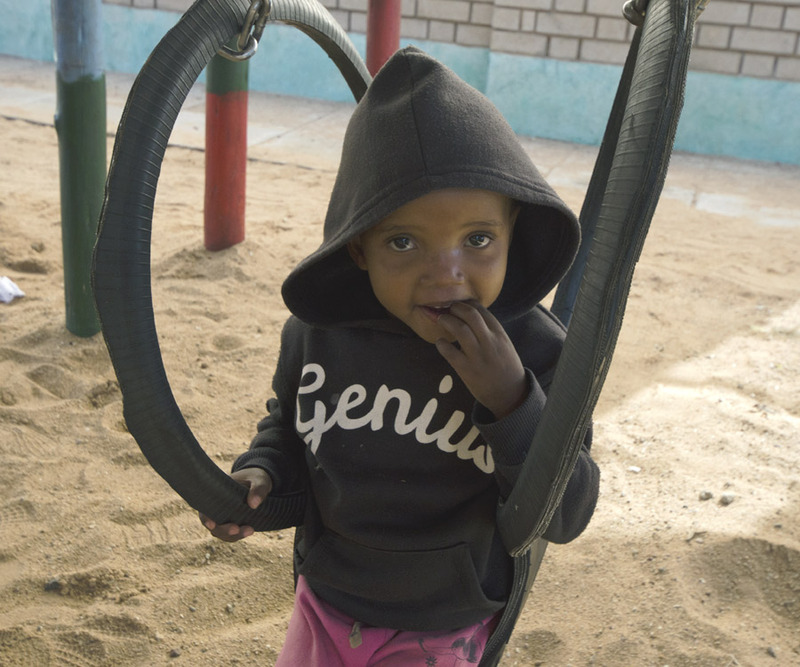 The children in the Bana Ba Keletso Child Care Centre receive better care thanks to the Kalahari Dream Diamond sales in Omaha, Nebraska. It’s truly incredible for Borsheims customers and employees to think about the difference they are making from half-a-world away.